Featuring rolling fairways and large undulating greens, Cotton Creek at Craft Farms Golf Resort is very playable from the forward tees and a true championship challenge of over 7,000 yards from the tips. True to its Palmer design, this traditional 18-hole masterpiece was laid out to challenge rather than intimidate, with numerous risk/reward opportunities throughout. Golf Digest has consistently rated Cotton Creek as one of the Best Places to Play! This 4-star course, located in Gulf Shores, Alabama, features tree-lined, rolling fairways surrounded by lakes. The lush course is challenging for low handicap players but with five staggered tee boxes, it is a fun challenge for golfers at any level. Considering a risky shot to go for the green? Your bravery will be rewarded with the large undulating greens. The 6th Hole is the most challenging on Cotton Creek. With a well-placed tee shot over water to the fairway, the 2nd shot also requires a smart swing over more water to the green. A birdie on this hole delights anyone who rises to meet its challenge! 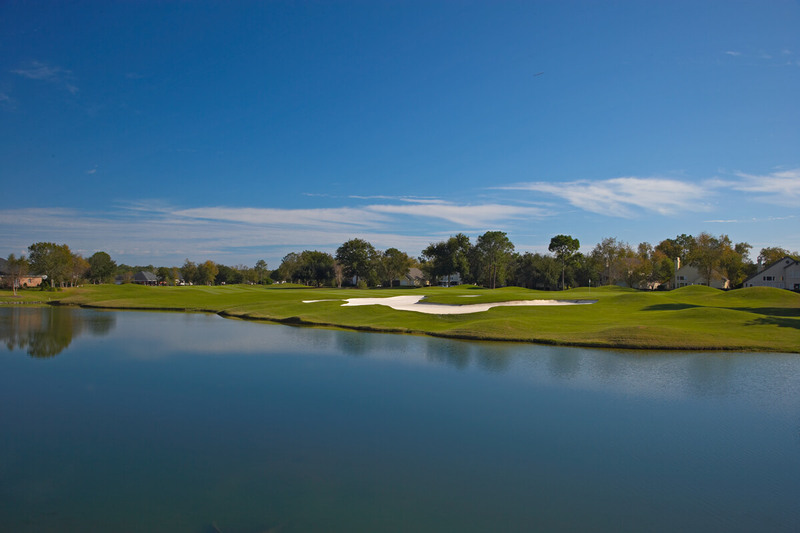 Cypress Bend at Craft Farms Golf Resort boasts a 4-1/2 star rating by Golf Digest. This architectural masterpiece, features staggered tee boxes, sprawling bunkers, top quality putting surfaces and year–round lush conditions. A perfect complement to its big sister, Cotton Creek, this course has a coastal feel as it traverses a unique system of cord-grass accented lakes which come into play on nearly every hole. Cypress Bend offers wide fairways, vast landing areas and large undulating greens, giving golfers confidence as they prepare to tackle this Palmer creation. The modern layout and links-style course is a pleasure to play. The 4th Hole is the trickiest on the course. You must have a well-placed tee shot and may not want to use your driver. The 2nd shot over water must be placed just right to score well on this hole. Golf Digest gave Cypress Bend 4-1/2 stars and named it one of the 2008-09 Best Places to Play. While you are in the southern Gulf Coast region, enjoying the beautiful beaches of Gulf Shores, Alabama, take some time to plan a golf outing at Cypress Bend.